We know it’s never easy to select the right contractor. Issues of cost, trust, performance, and reliability all come into play. The question becomes: Who separates themselves from the pack? Who makes the extra effort to satisfy the customer? Who pays unusual attention to quality and detail? Who makes you feel secure in their proven ability to achieve your desired results? Through three generations, we’ve grown with New York—like the city itself, we’re modern and innovative yet carry within us a deep respect and appreciation for the city’s architectural history and traditions. Explore our site and discover the distinctions that have enabled us to maintain, restore, and renovate New York buildings since 1918. And see why Bellet is the best choice for all your exterior construction needs. 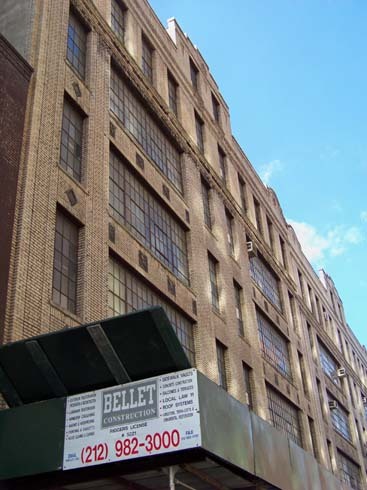 Interested in joining the Bellet Construction Team? Click here!